As a big fan of all things zombies, the State of Decay series has been one I’ve loved since it first arrived as an Xbox 360 Arcade title back in June 2013. 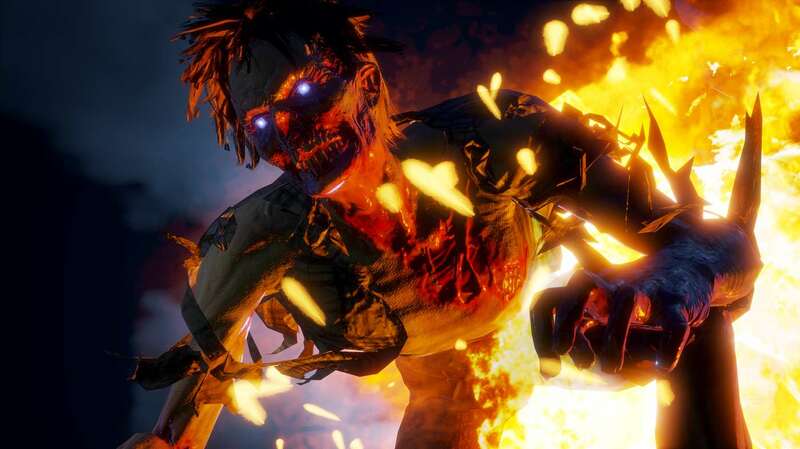 Since that point, it’s reputation has continued to grow and what was originally being seen as ‘yet another zombie adventure’ soon garnered a cult following with thousands of players enjoying the vast open-world and community building gameplay – all whilst trying to survive the zombie apocalypse. State of Decay was so good in fact that there was only really one thing players wanted different from that first adventure – multiplayer. With State of Decay 2’s arrival however, they got just that; a multiplayer enabled adventure with the same classic gameplay. But whilst the solo play offers yet another fantastic experience, the multiplayer wasn’t quite what everyone had hoped and wished it would be thanks to a variety of limitations. Can the latest multiplayer focused DLC change that though? Daybreak is nothing like the DLC we saw arrive for the first State of Decay. It’s not an additional expansive map, it doesn’t bring an exciting new story nor add any additional characters, and it doesn’t maintain much of that core gameplay experience we got from the main game. Instead what we have is something that seems to be all too common in zombie-based games nowadays; a horde mode. Disappointingly though, Daybreak brings a horde type experience that has already been bettered by many other titles out there, and if you’ve already played the Bloodbath DLC of Dead Island, the Horde mode of Zombie Army Trilogy, or even much of Metal Gear: Survive, then you’ve already had a better horde-based experience than that of State of Decay 2’s Daybreak. A big reason for this comes down to the lack of excitement seen throughout and the overbearing repetition this mode brings during the seven-wave horde experience. In Daybreak, you play the role of a mysterious Red Talon soldier. There’s no explaining as to who he is, what he does, or why he’s there, but his – your – objective is clear… protect the slow-working technician trying to repair the satellite relay, and blast away every damn zombie that steps foot anywhere near them. To do this you can either play the mode solo with 2 other A.I compadres, or you can step online and invite two others to get stuck in on the action as you look to move through the progressively difficult waves of zombies gunning for that technician. At the start of each game, players begin with three different weapons; a firearm, a grenade and a melee option. Utilising these weapons is a must if you hope to reach the later stages of Daybreak as ammunition proves highly limited throughout, leaving melee options as the best way to go when multiple enemies begin breaking down the solid, protective walls that are in place. Of course, after each wave is complete you can venture out into the rather limited play area to collect ammo and various supplies from CLEO supply drops, but you’ll rarely find enough to ensure you can fully rely on the backing of heavy firepower to pull you through. What makes this even more challenging is the fact that every wave is much harder than the one before it, with more zombies of the normal and special variety arriving each time. 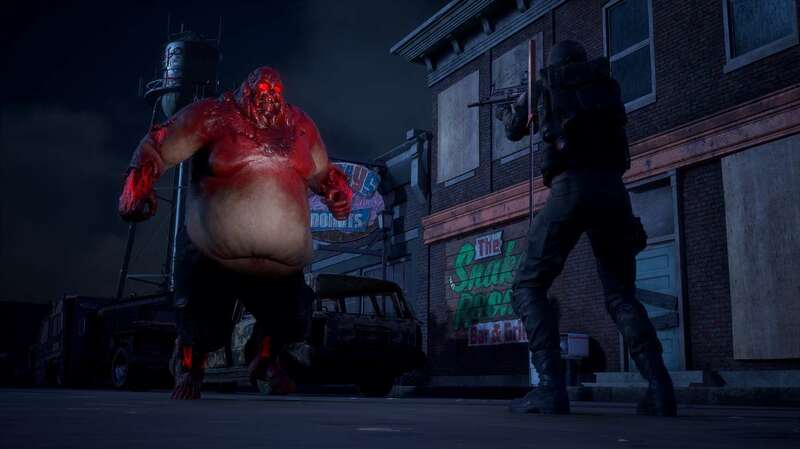 There are three distinct special zombies to watch out for, with Bloaters, Juggernauts – including those of the Blood Plague variety – and Feral zombies all making an appearance at multiple points as you progress. All will need to be downed with melee weapons if you’ve failed to save that vital ammunition until the later rounds. The disappointment from this comes from the fact that, unlike the main game, there is very little variation to anything. For the entire seven-wave encounter all you’ll find yourself doing is either shooting or swinging your weapons at enemies until the time limit counts down to zero, protecting the technician who’s overbearing and slow repair skills are a pain to watch, and trying to find enough materials to rebuild the supposedly sturdy walls meant to keep the horde at bay. Should you manage to have a team whose communication can hold up long enough to drag you through the ridiculously hard challenge, then you’ll be rewarded with new weapons and items for your next attempt, as well as other items that can be used within the main game such as new weapons. The rewards you unlock however will be based on the Prestige Points you’ve earned, with them given for actions such as killing special zombies. 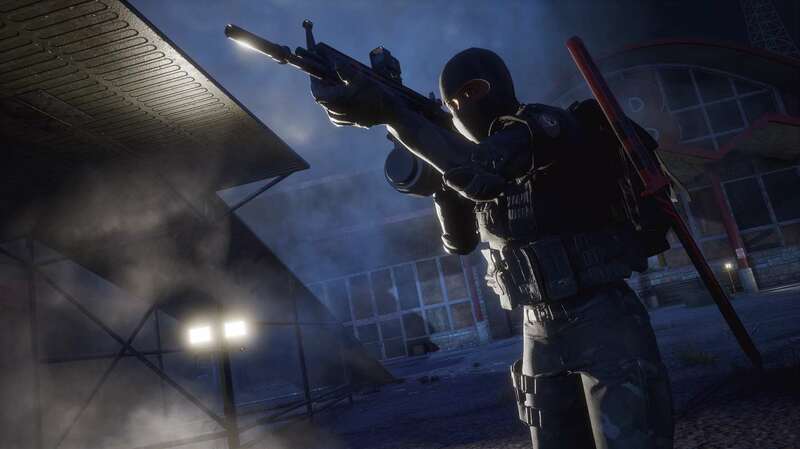 Besides the new mode, Daybreak also brings new Red Talon buildings for the main game that can be constructed, as well as a new survivor that can be recruited into your community and a number of new Achievements to unlock. Unfortunately, getting them is no easy task given most of them rely on certain conditions being met within the Daybreak horde mode; using no firearms until reaching wave 4, or allowing 24 CLEO drops to accumulate on the ground before picking them up. Disappointingly, that’s all there is to the new mode. There are no new and exciting maps, there are no exciting contraptions to make or utilise and there’s nothing of real value brought to the game besides a basic defensive game mode that can be played in multiplayer. If you want a better defensive survival experience, then you should play the base game, whilst those looking for a new horde fix should play something else. See, State of Decay 2’s Daybreak DLC isn’t the exciting content we’d hoped to see arriving for one of the year’s best games.